Dr. Vanessa Timmer is the Executive Director of One Earth, a Vancouver, Canada-based environmental ‘think and do tank’ creating and imagining sustainable ways of living in cities and around the world. One Earth collaborates with partners to transform how people live their lives – what they need, what they consume and produce, and what they aspire to – enabling everyone to live good quality of lives within their fair share of our planet’s resources. One Earth is focused on catalyzing transformative, systemic change towards sustainability. One Earth is a co-founder of ‘Disruptive Imaginings: creating better futures’ – a global campaign and learning community aimed at creating compelling visions and experiences of life in sustainable futures. Vanessa is also a Senior Research Fellow at Utrecht University with Pathways to Sustainability, the Urban Futures Studio, and the Copernicus Institute of Sustainable Development. Vanessa writes, speaks and teaches on social change, sustainability, leadership, and systems thinking. She is a past Associate and Fulbright scholar with Harvard’s Sustainability Science Program and holds a Doctorate in environmental studies with degrees from Queen’s University, Oxford University and the University of British Columbia. One Earth works in close partnership with the Institute for Global Environmental Strategies and with cities, the Canadian and US Government, the United Nations, researchers, civil society, and the Urban Sustainability Directors Network. The One Earth team advises the City of Vancouver on its Greenest City Action Plan on its Lighter Footprint and Zero Waste goals and implementation. One Earth is a co-founder of the Global Research Forum on Sustainable Production and Consumption and the North American Roundtable on Sustainable Production and Consumption. From 2013 to 2015, One Earth curated the New Economies theme of Cities for People, initiated by The J. W. McConnell Family Foundation – a Canada-wide experiment in advancing a movement to create more resilient and livable cities through innovation networks. Vanessa sits on the Multi-stakeholder Advisory Committee for the United Nations 10YFP Sustainable Lifestyles Programme. In Canada, she is a Board member of the National Zero Waste Council, the Vancouver Foundation Partnership Committee, and on the Technical Advisory Committee for The Natural Step Canada Transition Labs. Vanessa co-hosts the award-winning Canadian television show, The Sustainable Region. 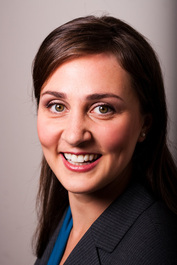 In 2013, Vanessa was named one of Business in Vancouver’s Top Forty under 40.